​​Progress report for phase 1 of curbside recycling in June 2018. Overall, the Phase 1 Curbside Recycling community is doing an excellent job at putting only clean and acceptable materials into their blue carts. The early data shows 89% of material collected is recyclable. The average number of blue carts placed at the curb each week is 70% of all participating households. As residents get more familiar with the program and bi-weekly schedule we expect that number to continue to climb. Remember to sign up for Waste Wizard to get pick-up reminders. 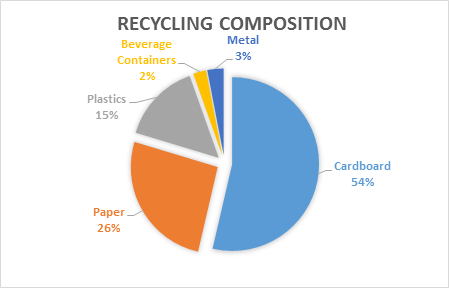 Our May Recycling audit shows that the majority of the recycled materials we are collecting is cardboard (54%) followed by paper (26%) and plastics (15%). Metal accounted for 3% of the recycled material and beverage containers make up just 2%. Like any new program, there is always room for improvement. In the audits, we did find a few things that shouldn't be in the blue cart. By watching out for these items, we can do even better at keeping our recycling clean. These are some common items we are seeing in the blue carts that should be left out. Footwear – Footwear is not made of recyclable materials. Footwear in good condition can be donated to a local thrift store. If it is not in good condition, it should go in the black cart. Food – Food contaminates the good recyclables. Consider donating unopened items to one of Lethbridge's food banks, composting fruit and vegetables, or put in garbage. Knives – Mixed materials, like metal and plastic or wood cannot be separated. Knives are also a safety hazard for the people who sort the materials by hand. Please put sharp objects in the garbage. Small appliances – Appliances are made up of a mix of material that can't be separated through the curbside recycling program. These items can be taken to the Waste and Recycling Centre (landfill). Clothing – Textiles aren't recyclable in Lethbridge. Clothing can be donated to a local thrift store or put in the garbage. Batteries - Putting batteries in your blue cart is a fire hazard. They can still be recycled though. There is a special area for battery collection at the landfill - please ask the scale house operator for directions on site. WHAT HAPPENS TO A CONTAMINATED LOAD? This type of contamination has the most impact. It is unsafe for the people who sort the recyclables and therefore a large portion of the surrounding good recyclables must be sent to the landfill with regular garbage. The people who sort your recycling are members of your community – please keep them safe by properly disposing of these materials.  These items can make good recyclables dirty to the point where they end up in the landfill with regular garbage. Never put wet or organic materials in your blue cart. Some of these items are pulled out of the recycling by hand. The dirty materials that do end up making it through the sorting process decrease the value of the rest of the recyclables. Please rinse containers. Anything that cannot be cleaned is garbage. If it dangles, it will tangle. Tanglers get caught in machinery and cause inefficiencies in the sorting process and possibly mechanical repair. All the materials are sorted and non-acceptable items end up as 'residual' that is put in the landfill with regular garbage. This is not an efficient way to dispose of garbage – for the whole community benefit, please take the time to learn what's in and what's out.